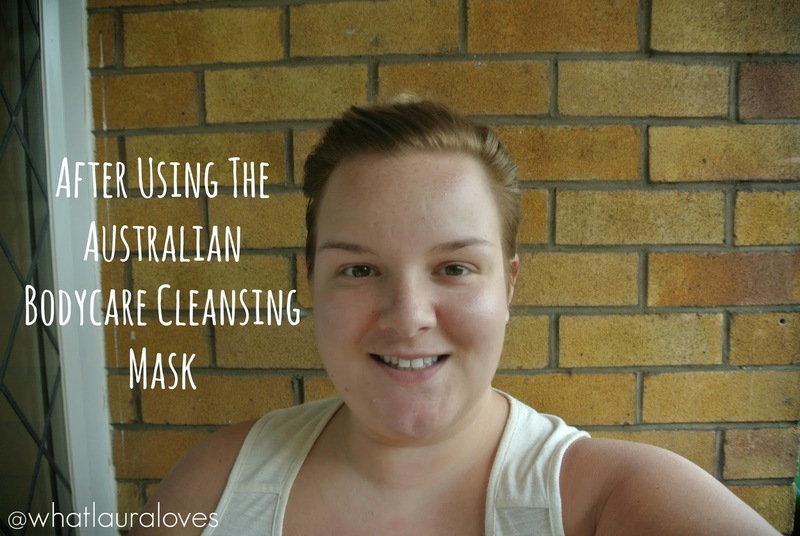 The Australian Bodycare Cleansing Face Mask has been my mask of choice over the last four weeks and I’ve got to say that I am really enjoying using it. 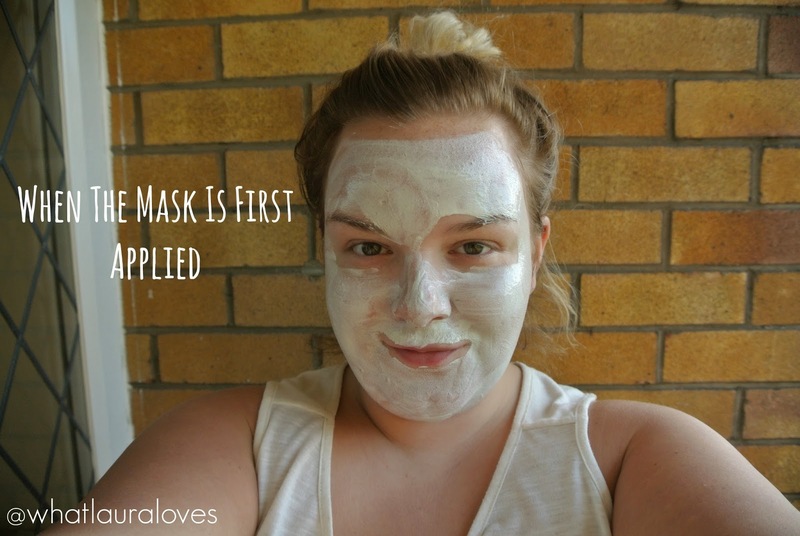 I had been using the Origins Clear Improvement Mask over the summer and while I couldn’t say that these two masks are one and the same, they do have very similar results on my skin. This is a mineral rich clay face mask that aims to deeply clean and purify the skin which is great for those who suffer with blocked pores and blemishes, especially because it also contains Tea Tree Oil that has antiseptic properties. I think it is the Tea Tree in the mask that makes it tingle when I first apply it. This feels really refreshing and awakening, especially if I have time to pop it on my skin first thing on a morning, although I must say that my eyes did feel as though they were going to water the first time I used it! Despite the powerful cleansing formula, it is suitable for all skin types, although as it does have a tingling tea tree sensation, I think those with very sensitive skin may be surprised when they first try it. It is suitable to be used on a regular basis too, although for my skin, I tend to apply it as and when I have breakouts or once per week to really deeply cleanse my skin. I’ve said this on my blog before but I don’t have blemish prone skin. 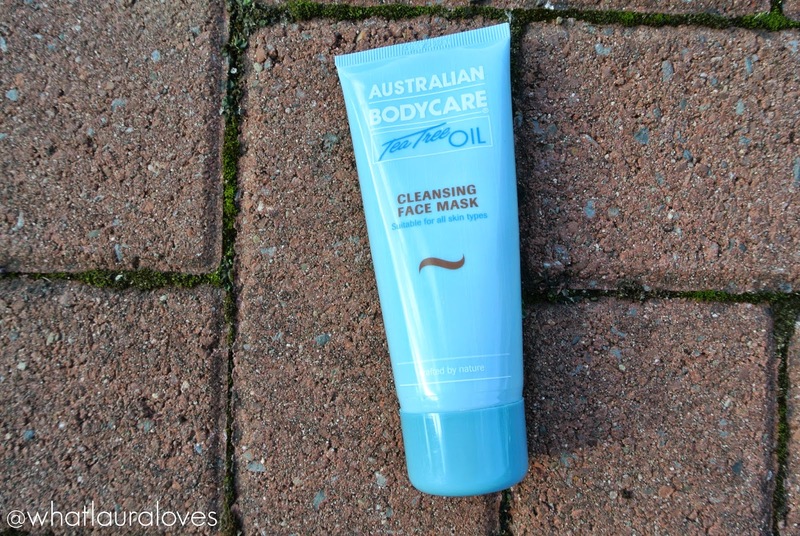 It is very oily, I get the odd breakout and I have quite a few blocked pores and blackheads. 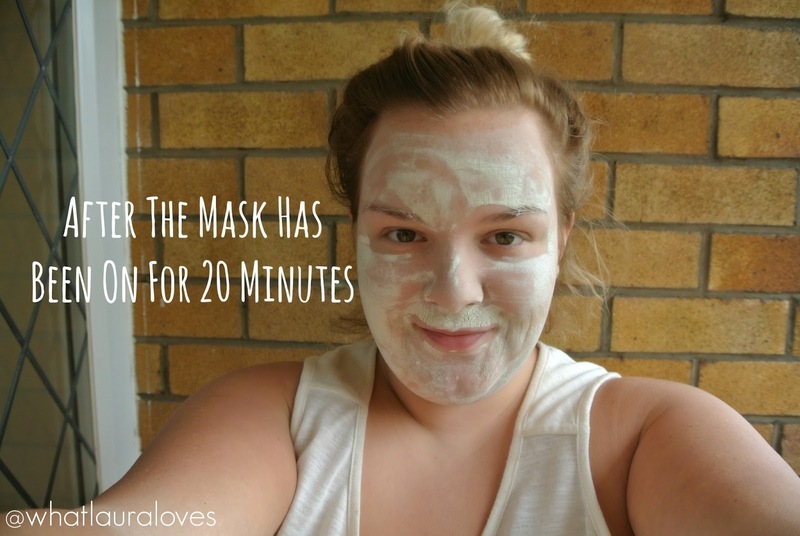 I find that this mask works superbly well at clearing my skin. I have tried using it when I already had a spot on my skin, like in the photos taken on this post, and I found that it seemed to draw out the spot more and then the next day, it had decreased in size and redness considerably, with almost completely disappearing by the day after. Australian Bodycare have added papaya extract to their face mask as the enzymes within papaya are known to have exfoliating properties. 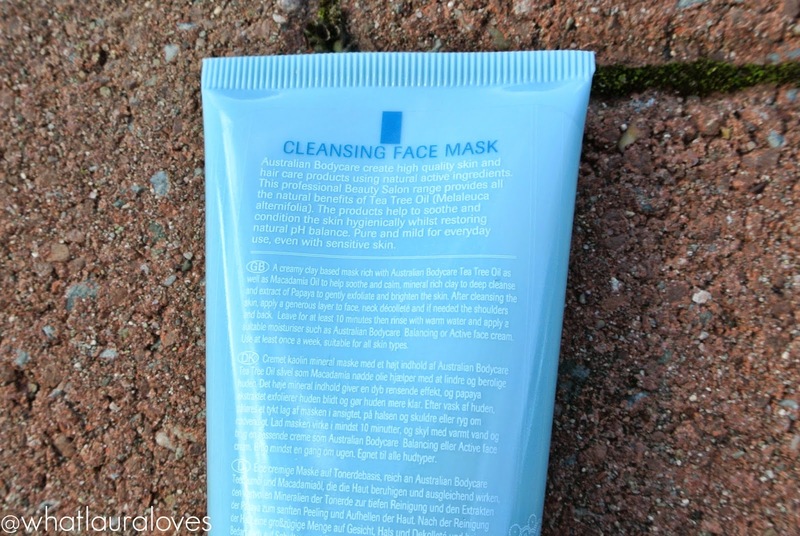 I find that after I have used this mask my complexion looks a lot brighter, very renewed and as though the dead skin cells have been polished off. 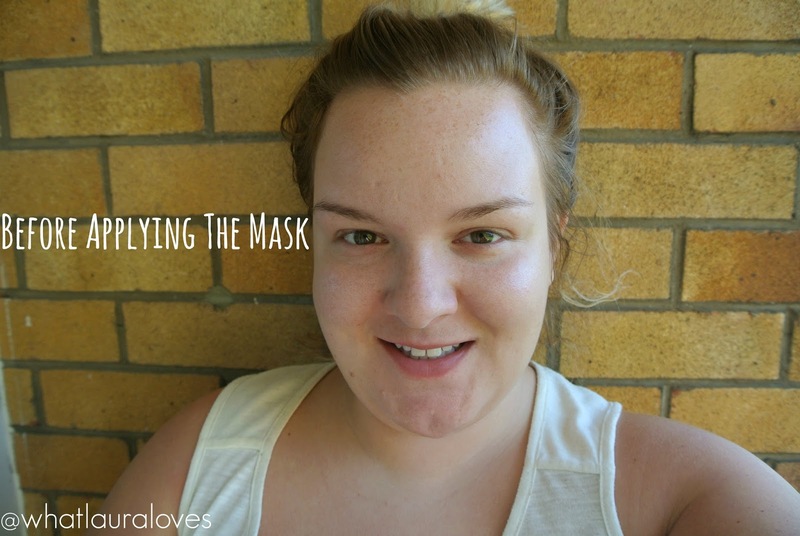 I really like the formula of this mask because although it is made of clay, it doesn’t dry the skin out too much. It does contain macadamia oil to soothe and calm the skin which I can definitely see the results of as my blemishes reduce in redness after I have used the mask but I also think that the macadamia oil helps to soften the skin too as my skin doesn’t feel tight after using it or while it is on my skin. I apply quite a thick layer to my face and neck as I sometimes get the odd under the skin type spot on my neck. I leave it on for at least 20 minutes (ten minutes is the minimum recommended time) while I’m tidying the kitchen or shaving my legs and I find that the mask gradually sets. It does harden but not in a painful or extremely tight way like the Origins Clear Improvement Mask so those of you who have found that mask to be a little too tightening may prefer this one. Some of it actually seems to sink into the skin and become clear in appearance. When I come to wash the mask off my skin, I run a face cloth under the warm tap and then gently remove the mask using circular motions. 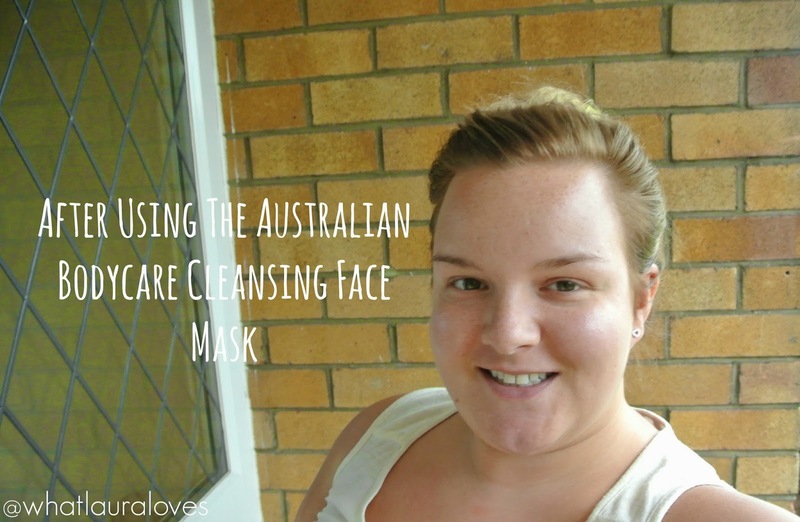 The Australian Bodycare Cleansing Face Mask leaves my skin clear, bright and super smooth, ready for a good moisturiser or make up application. Check it out online here and buy it here.